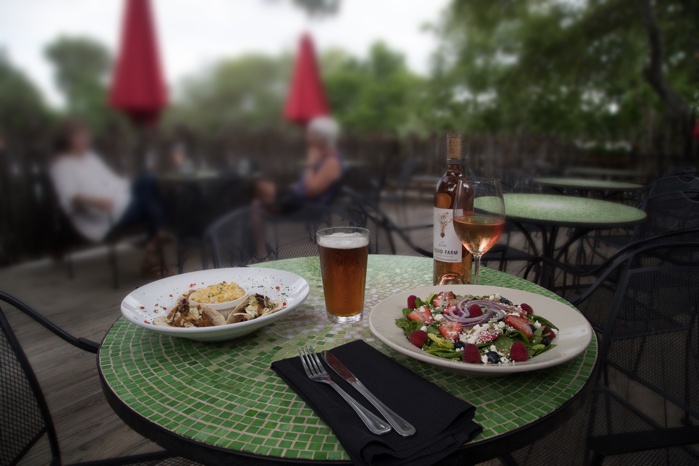 Located across from the free covered parking garage in the heart of Historic Downtown Kerrville, Grape Juice is surrounded by a variety of eclectic shops, art galleries, the Guadalupe River Trail, and so much more. In Kerrville you can sip while you stroll, so ask for a drink or two TO GO! 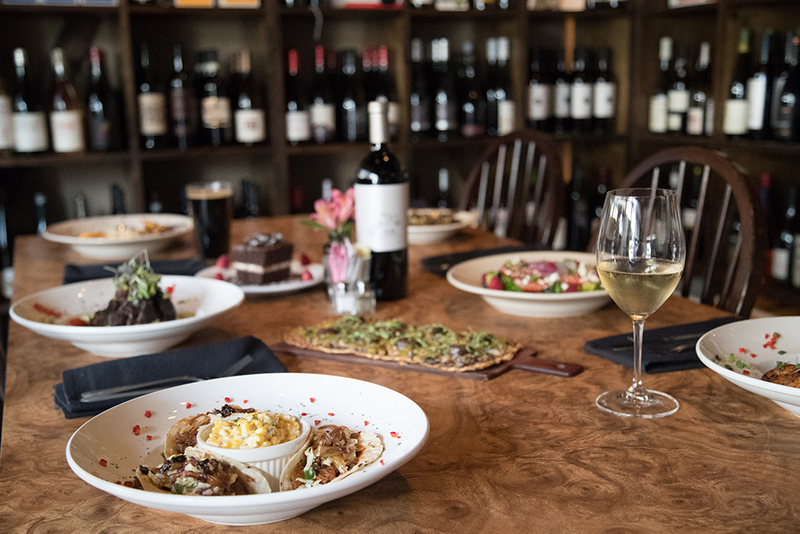 Belly up to our custom poured bar or sit and sip a while in our curtained off lounge areas, a place known by locals as "Kerrville's living room". Sit in the dining room with a view of the whole space or perch yourself on our back porch, where daytime shade becomes a tucked away place of twinkle light delight as the sun sets behind the hills. Reserve yourself a table, couch, or chair today! We call it "food you know... with a twist". 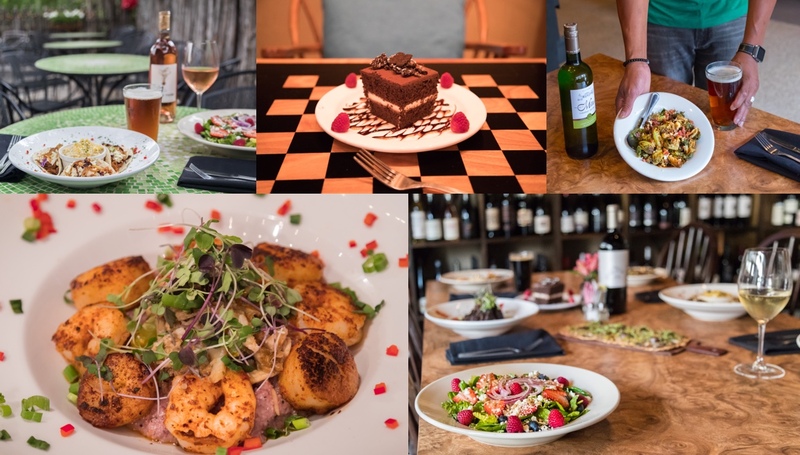 Come on in to take one step outside of your comfort zone as we put spins on classics like tacos, mac and cheese, lettuce wraps, nachos, flatbreads, salads, burgers, and more that will have your taste buds dancing with delight. And after 4pm we turn the lights down and the heat up with the addition of hand cut steaks, seafood, and so much more. Our menu is always changing! Take a look at our current fare or scroll through our social media feed for our weekly specials. And order the Brussel Sprouts...trust us! At the end of the day, it's just grape juice. This simple approach is extended to our award winning (and yet easy to order) selection of wines from across the world. So if you like to sniff and swirl, simply sit and sip, drink a flight here, or take your bottles to go, Grape Juice is the place for you! where both are just $5 each all day long! At Grape Juice you will find a tap for all taste buds! From throwback classics to crazy cool crafts, our 20 taps of rotating beers will have something to satisfy even the pickiest of brew-lovers. So belly up to our bar or grab a growler of suds to-go! Heard often at our beer wall: "You have (insert obscure, super-cool, and hard to get beer) here?!" Join us for HAPPY HOUR DAILY from 5-6pm for $2 off all pints and glasses of wine! We are old school and love to chat. Call us at (830) 792-9463 or come by 623 Water Street to make your reservation today! Copyright © 2019 Grape Juice. All Rights Reserved.